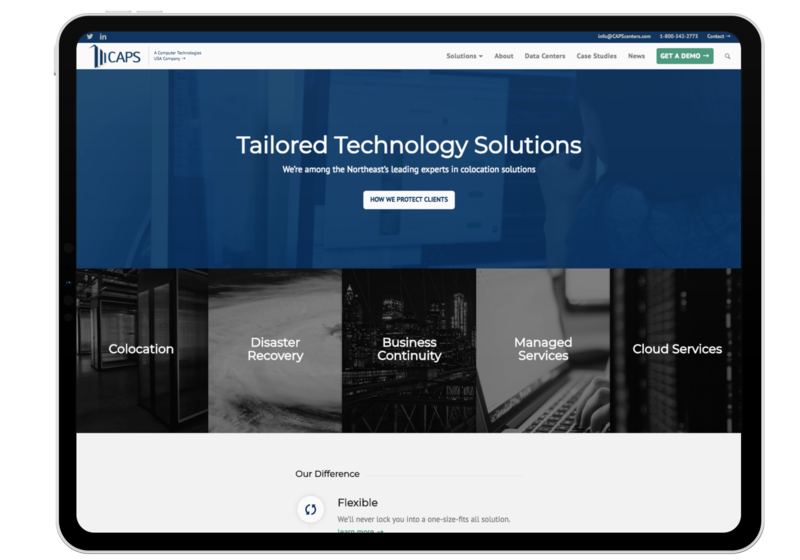 CAPS, one of the Northeast’s leading IT service providers, came to us looking for a brand upgrade with a need for something that instills trust & a new, modern website that both simplifies their unique mission and quickly communicates their areas of expertise to new, prospective clients. Learn how we helped them meet their goals below. We simplified the homepage to make the major services the focal point for new clients unfamiliar with CAPS. Each major block provides more details about the service on hover and clicking on each takes you to an educational landing page with prominent “conversion forms” to make it super easy to site visitors. Simplified Navigation We restructured the way offerings are presented to make things simpler. I gotta say it’s just be really wonderful working with you guys! We gave each major service a landing page with educational content and a clear call-to-action form visible in the top 50% of each page. 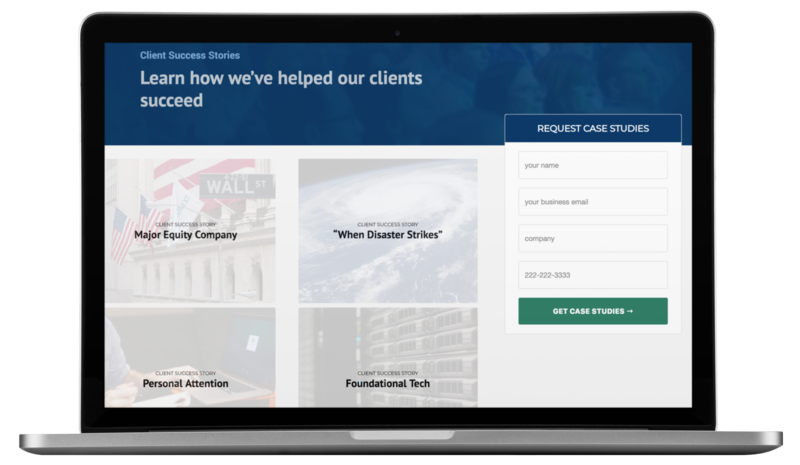 We created a standalone page to advertise case studies with a prominent Conversion Form to make it easy on prospective clients. 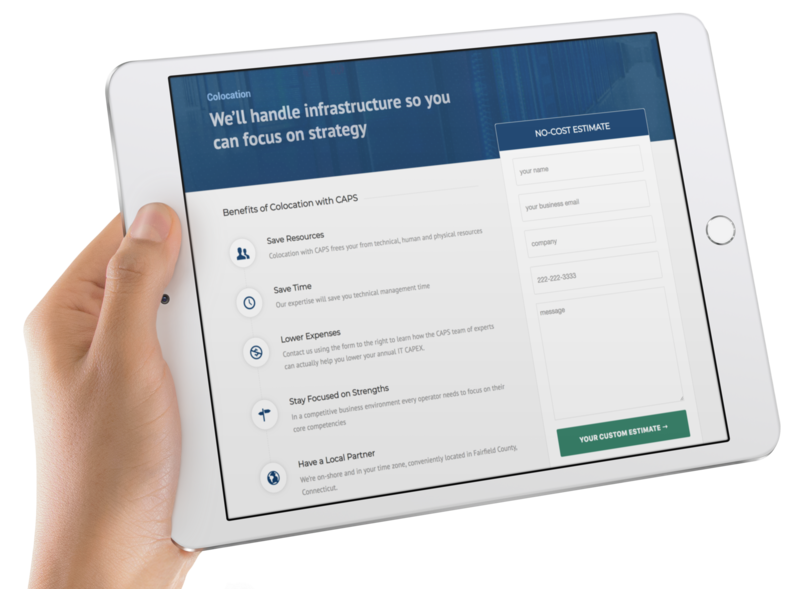 The project was very well received by the great team at CAPS and delivered on schedule and within their budget. Since launch, they’ve experienced approximately a 28% improvement in visitor conversion & overall growth in traffic has grown as well as they more confidently send prospects to the messaging and educational resources on their new digital home. We continue to support CAPS as their client roster grows and as they expand into new service offerings. © Copyright 2019 Surgostream. All Rights reserved.